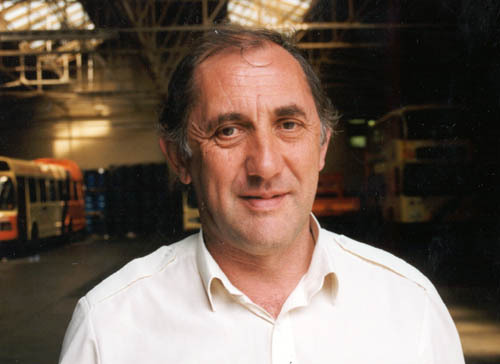 Connections with Brighton and Hove : At our Awards Evening in 2001 two chances to bid on having your name on a bus, one was won by Dave Taylor a Conway Street driver who decided to dedicate the bus to a respected driver Malcolm Farley who had lost his battle against cancer, the event raised £1,700 for charity. 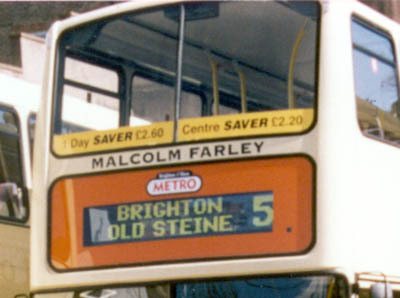 The name was displayed for a month in April 2001 on a newly delivered bus. 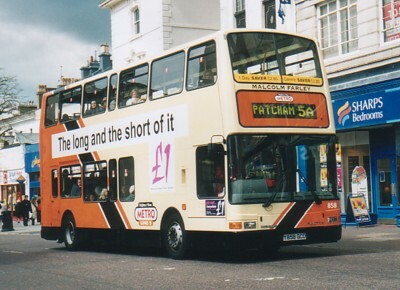 858 Dennis Trident delivered in March 2001, originally named Malcolm Farley during April 2001, then changed name to George Albert Smith in May 2001, on METRO Line 5. 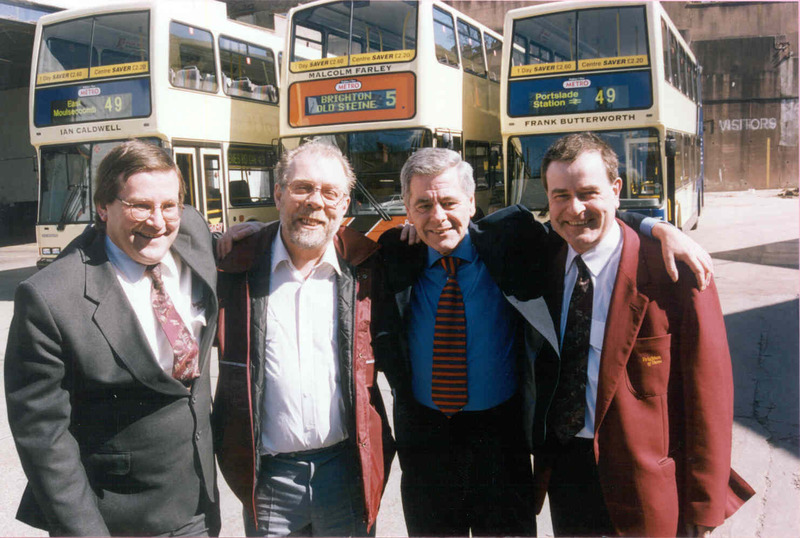 Dave Taylor (2nd left) with the other charity name bidders. 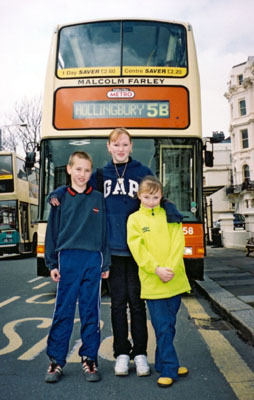 Malcolm Farley’s children stand proudly in front of Dad’s bus.